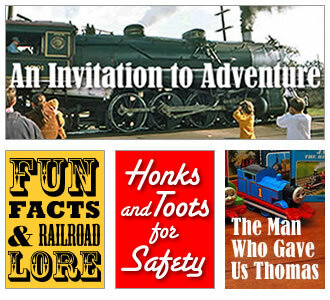 Trains offer endless pleasures for children, parents, travelers, history buffs, photographers, writers, artists, musicians, modellers and collectors, civil engineers and aspiring engine drivers. 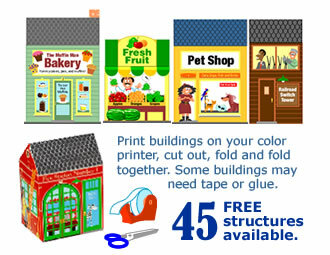 Add color and excitement to your wooden train fun with these free easy-to-build town and railway structures. Click on the picture below to open a pdf file of an 8.5x11 inch poster. Type a title or name in the space below the picture. Then print. Easy (and free)! . . ... 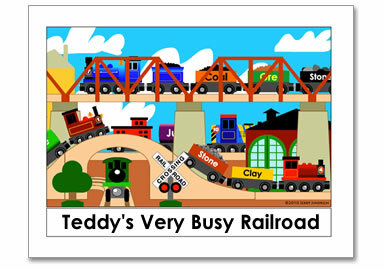 These seven interactive pages provide playful learning opportunities for young children who like trains. 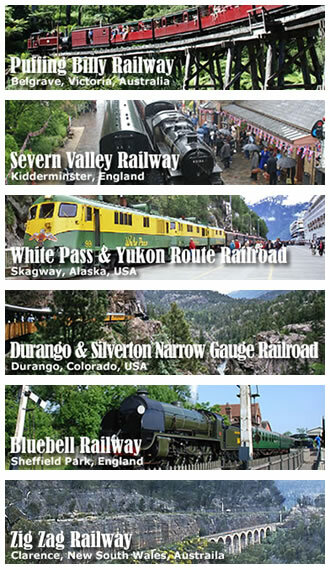 Enjoy photos and notes from six extraordinary railway journeys in Australia, England, and the USA. � 2010, 2015 Jerry Jindrich. All rights reserved. Revised 9/6/2017.